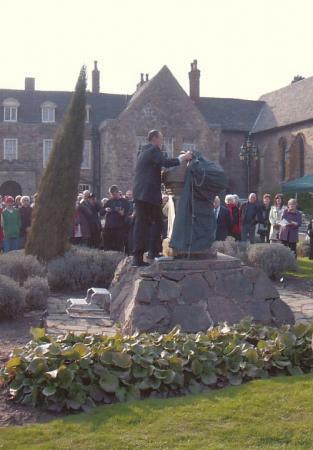 On Sunday 25th March 2007 Rothley commemorated the 200th anniversary of the passing of the Bill that ended the trade in slaves in British Ships. Shown above are Rothley Temple, seat of Thomas Babington (1758-1837), right, frequently visited by William Wilberforce (1759-1833), left, partners in the campaign to abolish the Atlantic Slave Trade successfully accomplished in March 1807. 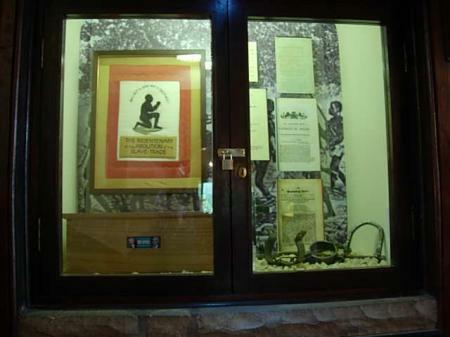 On Sunday 25th March 2007 Rothley commemorated the 200th anniversary of the passing of the Bill that ended the trade in slaves in British ships. 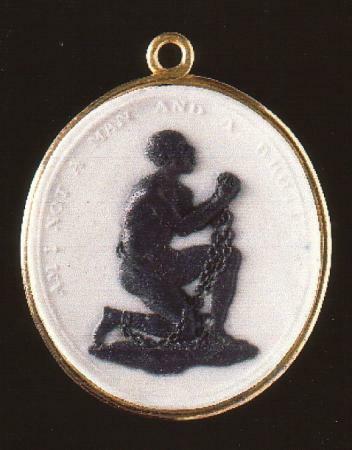 At 12 noon on the 25th March 1807 King George Ill signed into the statute book the Act abolishing the entire British slave trade. The traffic that had taken more than three million captive Africans onto British ships for the journey across the Atlantic was now properly reaching its end. 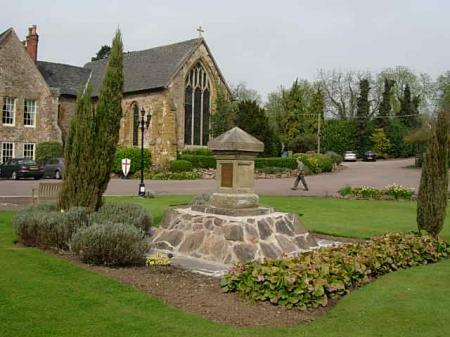 At Rothley we gave thanks in a special church service at 10.30am then at noon rang out a peal of bells followed in the afternoon by a series of events at the Rothley Court Hotel, Westfield Lane, Rothley. The mutual endeavours of Babington, Gisborne, Wilberforce and Macaulay have been brought together in a book by Terry Sheppard and Iain Whyte. 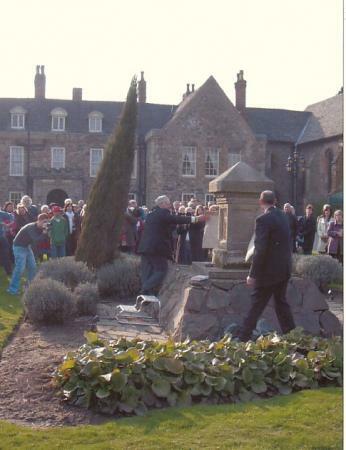 It was launched on the 25th March 2007 at the Rothley Court Hotel and set amongst a full programme of events between 2pm and 5pm. 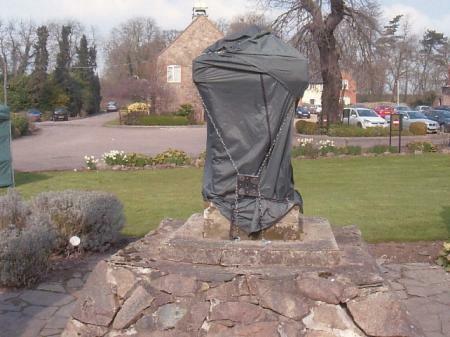 These included a series of dramatic readings from 18th century documents, a 16-panel storyboard exhibition of the history of slavery over 200 years, a gospel choir, tours of the Rothley Court and the unveiling of a new plaque. In the middle of the 18th century slavery was the lot of more than half the world's population. Britain with its colonial possessions was pre-eminent in using slaves to produce the staple goods its people clamoured for. Even more so in the cruel and barbarous trade in shipping Africans in chains from native traders and fortified depots all along the African coasts, only to sell their human cargoes at high profit to plantation owners in the new world. The trade was organised on a triangular basis. Ships would leave from British ports, among them Glasgow, Liverpool and Bristol, laden with manufactured items and arms, on the first passage to Africa. Ship Captains would then exchange their cargo for captured Africans for the middle passage across the Atlantic, there to see their human cargo into slavery for plantation work. The final passage home to Britain would be with the holds laden with products like sugar, rum and cotton, the whole cycle forming a bedrock of the British economy. The seemingly impossible task of overturning this prevailing world order was formally launched by a committee of Quaker and Anglican Christians in a London printing shop in May 1787. The committee's appointed organiser, the Revd Thomas Clarkson was able to influence a rising parliamentary star, the 28 year old William Wilberforce, to be the parliamentary voice of the abolition campaign. As the campaign developed, Wilberforce called for help from his friends of undergraduate days at St. John's Cambridge, Thomas Babington, squire of Rothley, and the Revd Thomas Gisborne, squire of Yoxall, Staffordshire. 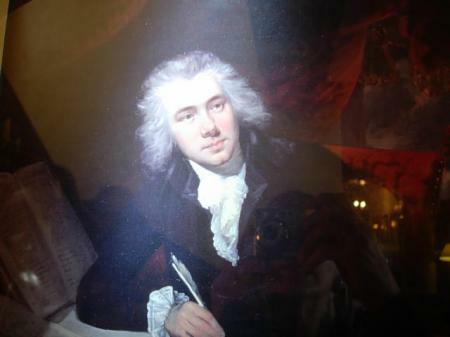 In summer breaks, Wilberforce, Babington and Gisborne would spend long hours at Rothley and Yoxall working at collating and abridging reams of evidence given to a select committee of the House of Commons. As the campaign intensified, Babington and Gisborne became the staff team resident at Wilberforce's house at Old Palace Yard, next to the House of Lords. When later in 1800 Babington became an MP, joining Wiberforce in the Commons, the partnership became close and long lasting. Another leading figure in the abolition campaign was Zachary Macaulay, who became the encyclopedic resource of the movement as Editor of the Anti-Slavery Reporter. But this was not before going out in his late teens to Jamaica in the hope of a government job, only to have to take work on a plantation as a bookkeeper and later an overseer. Broken and traumatised by five years on the plantation, Zachary came back to England to the Rothley home of his sister Jean, now married to Thomas Babington. Babington, a moderate evangelical Christian, gently helped Zachary put himself back together again, and acquire a fresh view of the Christian faith that would inform the rest of his life. With thanks to Terry Sheppard for the above history. 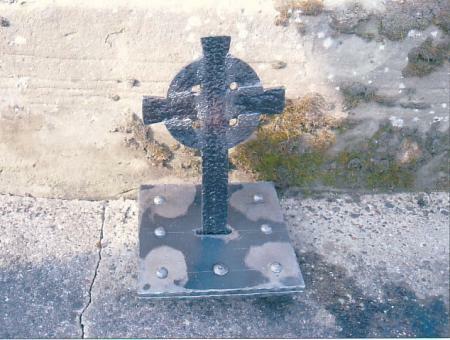 The key to unlock the padlock and chains was forged from the iron railings on Westfield Lane which enclosed The Temple land at the time of Thomas Babington. Councillor Ken Pacey, Mayor of Charnwood, unveiled the plaque. The chains were removed by the Rev. Rob Gladstone, Vicar of Rothley. 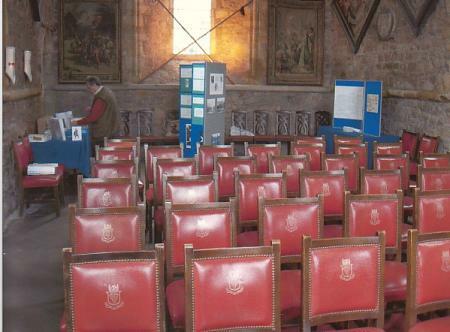 Inside the Chapel of the Knights Templar there was an exhibition of the History of The Temple. 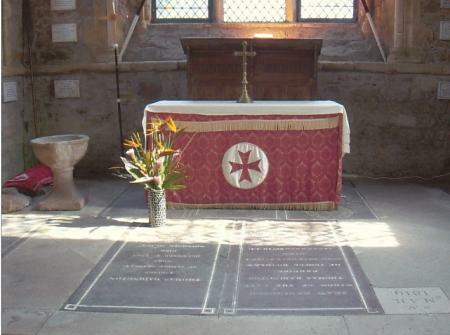 The tombstone of Thomas Babington inside the chapel decorated with flowers from the West Indies. 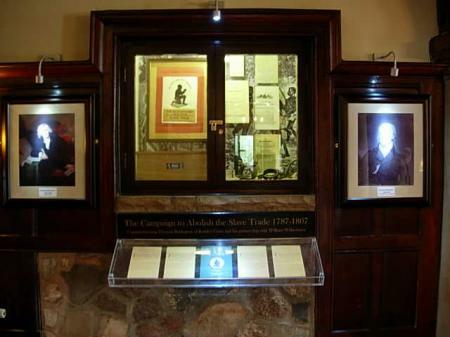 The Rothley Time Capsule can be seen in the Rothley Court Hotel lounge. 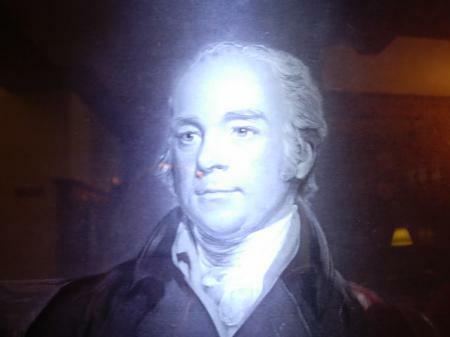 William Wilberforce (above) and Thomas Babington (below)have their photographs on either side of the Time capsule and are permanently lit. 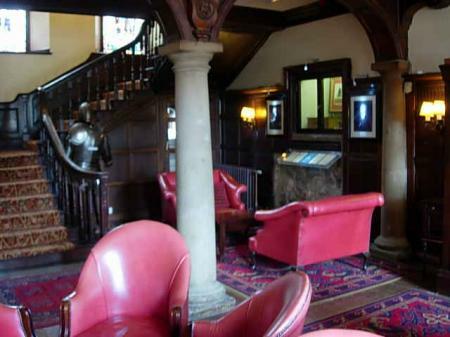 The Time Capsule in the Rothley Court Hotel lounge. 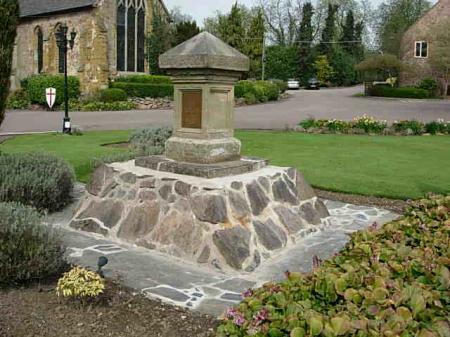 The plinth was restored in 2008 by the Rothley Charity the Harry Hames Trust. XHTML 1.0 validated. WCAG compliant. Page generated in 0.1046 seconds.